Able Muse Press, 9781927409695, 88pp. Poetry. 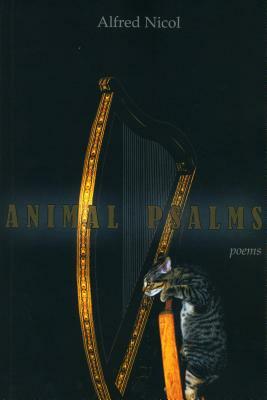 Alfred Nicol's ANIMAL PSALMS begins with the baseball field's organized uncertainties, and continues on many a trajectory of animal ruminations-with the human species well accounted for ending in the imbalance of the everyday "Nuts" around us. The subjects include the elephant, snake, sheep, skunk, bee, couple dynamics, the trials and triumphs of the ruler or the everyman. This is a collection rich in aphorisms on the bright and shady spectra of our interactions. Recognizable soliloquies with the meditative self or dialogues with the beloved are unraveled for keen insights on the human condition deconstructing them until the knotty connecting threads are exposed. Nicol gives us a mature collection of quiet reflection, with wit and wisdom deployed through finely crafted poems of masterly formal dexterity. "If we would only take the time to let one of Alfred Nicol's poems sink in through the brilliant latticed grid of its formal exterior, how the truth of what he has to say about the human condition would hit us the way a line drive whips toward you on a dreamy summer's afternoon, startling you back into the electric now. I love these poems because they evoke for me the zany, spiritual energy of the Beats welded as only a workman can work unwieldy things to the tempered grid of six centuries of formalism. Don't be surprised if after reading these poems you find them turning back to their true subject, dear reader, which turns out to be none other than you." Paul Mariani.